It is rare for me to find such a beautiful radio as this, these days. 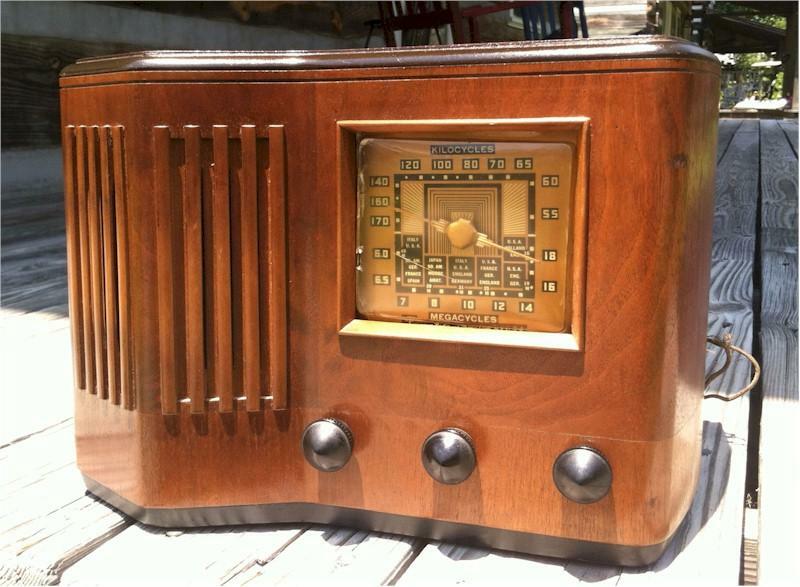 This is an awesome six-tube AM/Shortwave radio that plays superbly like most Emersons do. The wood cabinet was made by Ingraham and is pristine. The dial and knobs are original and in excellent shape. The dial plastic has a scratch and small hole and will be replaced with a new one before shipping. All the electrolyte and wax capacitors were replaced with state of the art new ones and the radio was aligned to play like new. A 20ft antenna is included. The AM is superb from 540 to 1700 KHz. The shortwave covers from 6.0 to 18.0 MHz and picks up the world even during the day. A great radio. You are visitor number 3,165 to this page.